It is called the audience based theory of media. As the media landscape evolve toward an audience-centric model, the study of the audience phenomenon becomes more and more complex. You will discover how and what all this have in common to the quantum theory. Uncertianty: you cannot know the exact velocity and location of any particle. Ubiquity: particles can be, in some sense, in two places at the same time. Simultaneous: all particles exist as mixture of different states, as they go up and down at the same time. I call it “magic tricks”: particles can disappear and reappear somewhere else. This is what quantum theory tells about the smallest parts of the universe. Eventually they predict the future of all calculations will rely on quantum computers. Quantum computers promise to solve blockchain riddles in which cryptocurrencies and crypto-tokens are encrypted, in other words, the end of Bitcoins & co. Quantum computers have massive calculation power and they are based on the same principles described few lines above, where the atoms run a multiplied binary model of 0s and 1s and the computer considers the average response of “random” events performed by each little particle. Even if it sound silly, the uncertainty is enabling the quantum computers to carry out very complex calculations and let them be extremely precise. From the media and marketing perspective, I still don’t see precision in the field of study of the audience, but for sure, the mind-bending postulates of media usage are moving toward audience based principles. As the programmatic advertising market ripes, the more complexity is added and business models are continuously re-discussed in order to define audience and thus customers. Imagine the user as the small particle of the media landscape, a sort of inseparable atom. 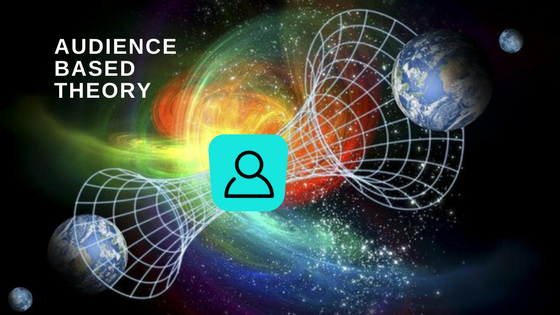 Each company selling a product or service have to face with the audience based theory of media, which is similar to principles of the quantum theory. Uncertainty: you’re not sure if the user is actually a person or bot, whether he/she gave you the authorization to track and use his/her data. Ubiquity: users became media multitaskers. In front of a TV screen they are probably looking at their smartphone or tablet. 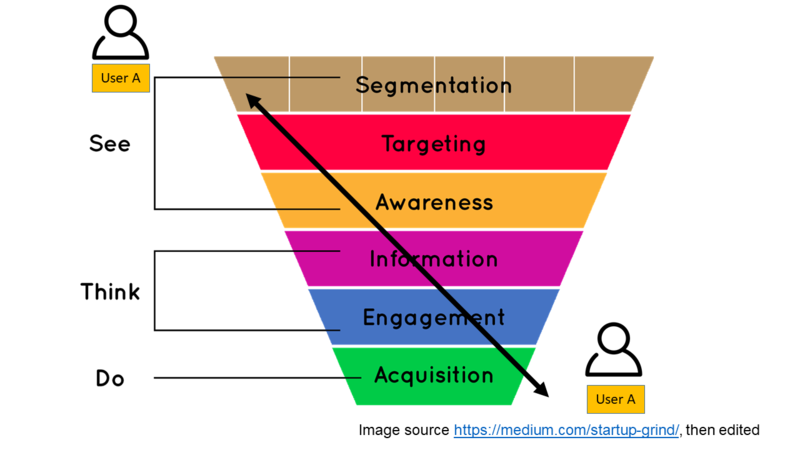 Simultaneous: users can go up and down to consumer funnels, think on influencer or viral marketing, consumers are actually becoming a medium too. “Magic tricks”: users may appear and disappear in different customer segments. Also, users’ attention is so weak that even a goldfish can concentrate better. When you plan to spend some digital budget, do you think Facebook is able to deliver the message only to real people? Well consider that fake accounts, as well as fake news, are one of the issue with no definitive solution from the big social network. Also users can declare false information during their registration just because they do not want to share their personal data. As GDPR becomes effective in 2018, users can decide whether to opt in the tracking information used by advertising. So, even though the account is connected to a real person, he/she might refuse to share his/her personal data. Bear in mind also that actions could be performed by bots and not by humans. This open the stage to the complex topic of ad fraud. Precision in determining the users can never be 100% accurate, there will be always uncertainty. Can user IDs be the definitive solution to the problem of uncertainty of determining the 100% physical user, then? Of course not. Firstly, because companies do not share the information about the user with each other, see walled gardens such as Google, Facebook, Apple. Secondly, even if they would do so, there will be still the problem of false information, fake accounts and ad fraud. Users while they watch TV browse on the internet with their tablet. While they write an email on their computer they get distracted by a notification message on their phone. We can say users can be in two places at the same time. Device graph ID models are able to detect, with an high probability, which devices are related to specific users and track their activity just with technical information collected about the devices. Which medium (TV, radio, events, personal sales, digital etc) is suitable to reach a designated target audience. Whether the investment a medium has been effective to the conversion of a user to customer, or helped reaching a certain goal. How much budget to invest in each channel in order to optimize resources. Being able to detect the ideal consumer journey of the potential customer and adapt the path to conversion. Attribution modeling is more complex than you think, or at least if you want to do it properly. You cannot be based only on digital touch points, so I do not want to even mention the last click attribution because it is so 2012. In the today’s attribution modeling, touch points are analyzed by complex systems and able to elaborate predictive conversion funnels. However power is nothing without control, and before talking on how to optimize the investments, you, as a marketer think on how you measure it today. When I ask to a CMO or marketing manager what is the goal with the next advertising campaign, ALL of them reply: “I want to sell more”. Nothing to surprise if then any agency, player of the ad industry promise to have the solution to their problems. What happened to the media objectives of brand awareness and performance? I got it, marketers want it simultaneous. Is it possible, then? In Italian there is a better translation of the say “you can’t have your cake and eat it, too”, but you got the idea. However in the audience based theory you can take real time actions on the advertising and marketing activity. Moreover, you can have consumers talking good of your product and be a powerful medium too. Think about the influencer marketing done by domestic realities such as UpStory or Friendz in Italy, potentially everyone can be brand ambassador and do not need million of followers. I know, it is complex to understand but with the use of data in your marketing cloud tool (a collection of CRM, offline information, ERP information, ad delivery) it is possible to organize in real time the best strategy to communicate to your audience and adopt acquisition and retention tecqniques. According to the audience based theory, audience itself is uncertain, ubiquitous, simultaneous and has surprises for marketers that claim (or pretend) to know it. The worst case scenario is thinking the users as silos or in user personas and not taking in consideration the fast evolution of the society and consumer habits. So you focus all the efforts on a certain segment you created based on the historical data you own and you stick with communicating the same message to all your customers without knowing what marketing automation does. Marketing automation is the collection of processes able to communicate the right message, product and/or service to designated customers based on their usage habits in the marketer’s properties and try to convert potential new/returning customers. The inevitable evolution of users and media usage can be unpredictable too. The problem is where they place attention. Think how fast consumers’ media consumption are changing. On TV now people decide when to play films and series, while first there was the constant flow of linear broadcasting. Facebook Ads didn’t exist in 2000 and, the same year, millennials were born and tend not to use Facebook because their parents are using it too, so they go on Snapchat, Musical.ly. Potentially, even while you are reading, an app can climb the rank of mobile stores and being downloaded by people who can be actually a potential target audience. And, potentially, your attention fell after reading the first paragraph of the article. The marketer’s challenge is to listen and capture the consumers’ attention, for the time needed to communicate the brand or the promotion. Yes, my old marketer buddy, marketing is not as we were imagining when we were children, but still is the best job on Earth if you embrace and accept the mind-bending laws of the audience based theory of media.